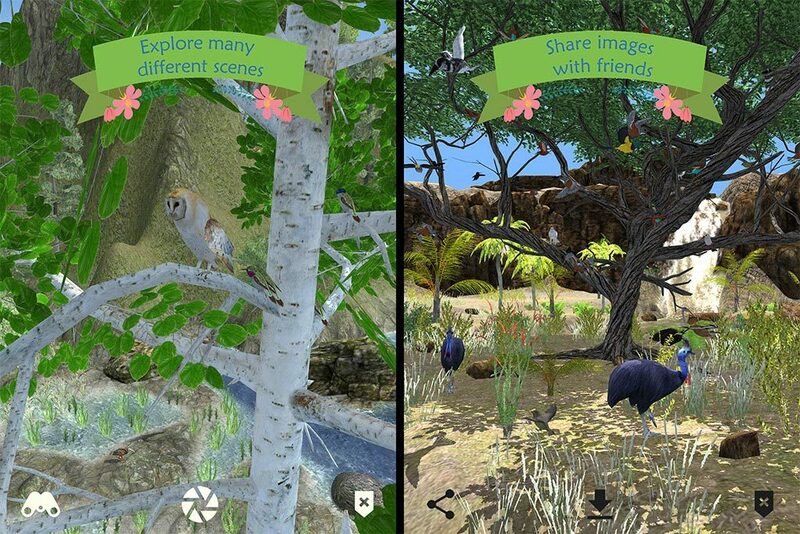 My Aviary is a relaxing idle game about birds for Android and iOS. 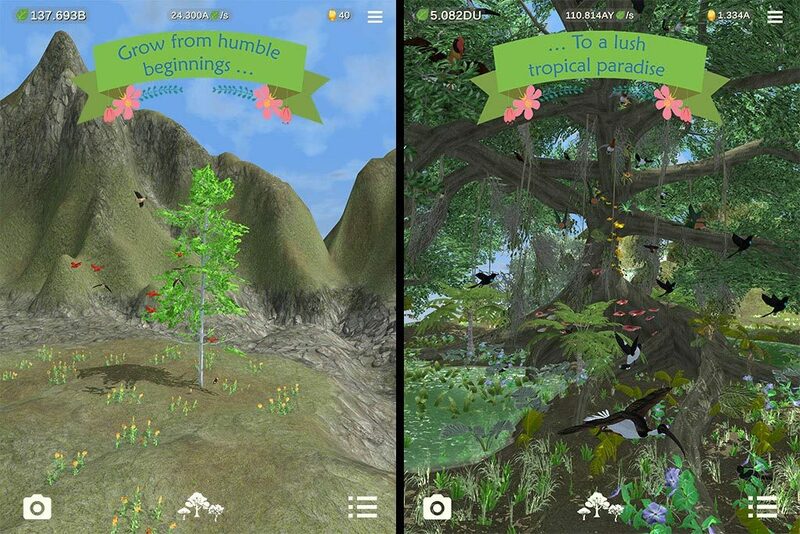 Your goal in My Aviary is to grow and fill each scene with wonderful birds and plant life. You start from a simple, lonely little Aspen tree in the mountains. From there you can grow a thriving ecosystem, explore a desert oasis and a mountaintop jungle, and marvel as large flocks of birds fly around on your screen. Keep coming back, day after day, to unlock a few more new birds, grow your tree a little more, or explore a new scene. It’s a nice way to relax for a few minutes, with no high-stakes action, or frustration at losing. My Aviary is a simple game to play. Just tap the screen to gain vitality. Use that vitality to upgrade your tree and unlock more birds, which will increase the amount of vitality you get with each tap. The game is made up of three scenes which you unlock as you play. In each scene, there is a central tree that controls your progress. As you upgrade the tree you can unlock and grow more plant life and unlock more birds, which in turn allows you to further upgrade your tree. The plant life and other add-ons that you unlock to fill in the scene all come with special bonuses to boost your vitality in different ways. 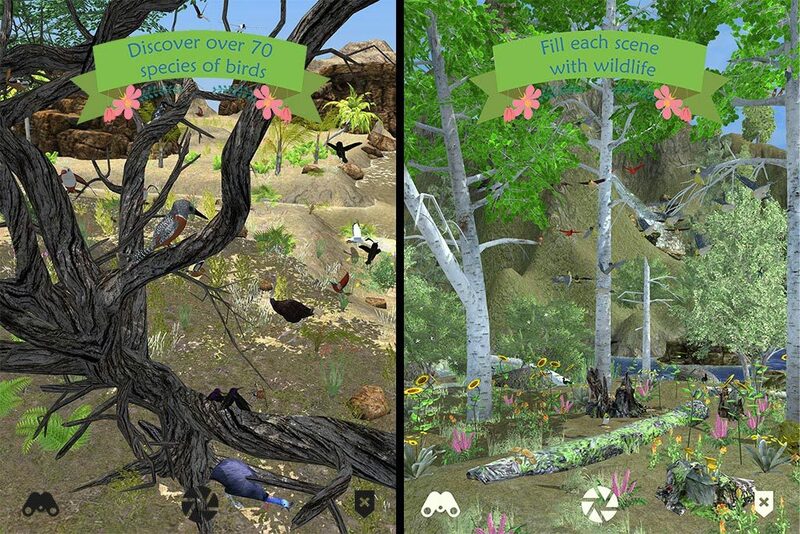 Each scene has over 20 unique birds to discover and learn about – some more hidden than others. The tree, plant life, and birds in each scene are all picked to represent a different location on the planet: North America, East Africa, and Southeast Asia/Australia, though, there is a little bit of flexibility as to which birds appear in each scene. And as this is an Idle game, you can continue to gain vitality even while you’re not playing. The game will track how long it has been since you last played and give you the vitality you’ve earned during that time. There are even a number of special bonuses that can be unlocked to further improve your idle vitality collection rate. DMagic Games is a studio of one, just me. I learned a lot of what I know about development from making mods for Kerbal Space Program: 3D modeling, animations, computer programming, Unity design, etc… Look up mods by DMagic (hence the studio name) if you’re curious. The idea for My Aviary came from playing a number of similar idle games and thinking about the ways I could expand upon and improve some of their ideas. After about a year and a half of development, I had something ready to show. This article was Published by Edamame Reviews, Written by DMagic Games.